One of the things that I haven't had during my stay in France is a car. I wanted to experience life here the way Laury does...car-less. She manages quite well on foot, on her bicycle, on the bus and occasionally by catching a ride with a friend. I have to say that I've found most things very do-able without a car. I certainly don't miss worrying about gas prices or traffic or finding a parking place. It feels good to be not adding to the earth's carbon emission problems. Riding the bus has been fun. I get to really look at the passing countryside and its little villages without looking at the road; I let the bus driver take care of that. All that being said, I'm re-thinking transportation. 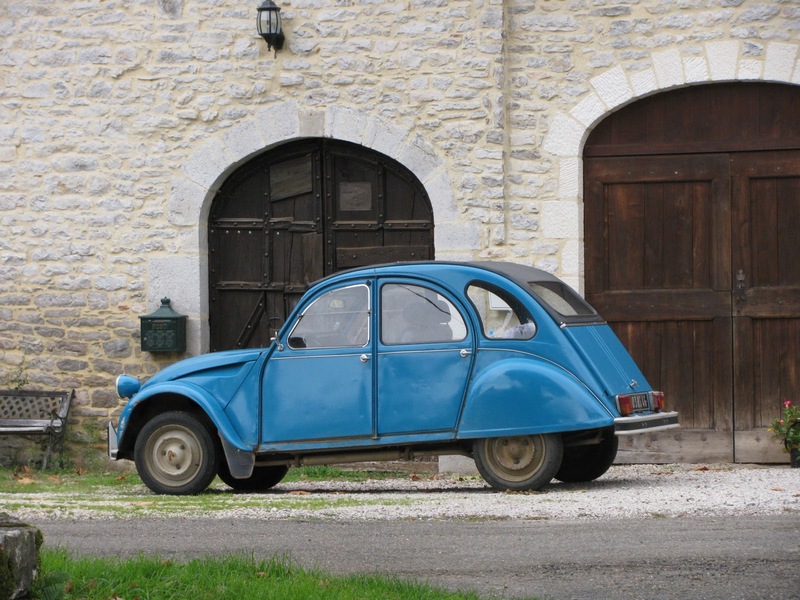 When I return to France this fall, do I need to buy a car? I find that I miss being able to explore beyond the bus route. Sometimes it's not very convenient to plan my life around the bus schedule. I haven't been able to go to church this winter because the bus doesn't go where I need to go. I've not gotten involved in any activities outside the village. Again being car-less, it just doesn't work. 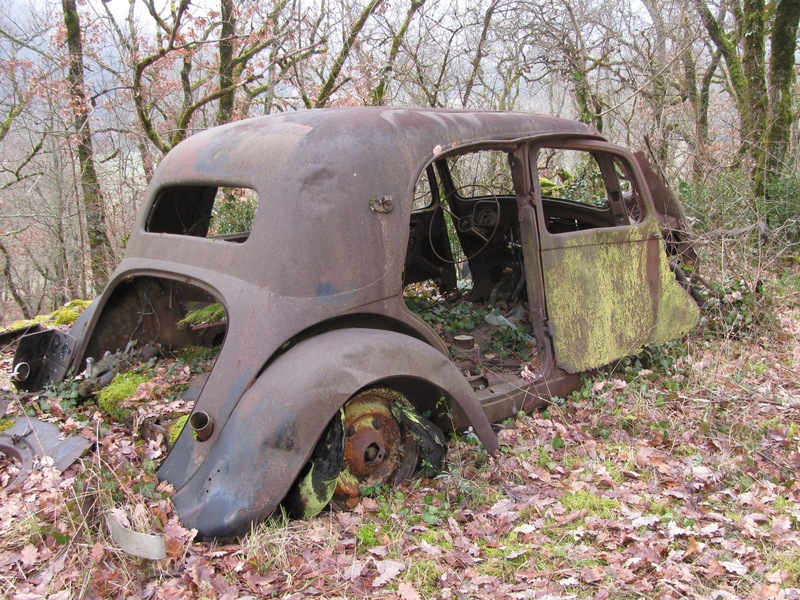 Obviously, the rusting relic hiding in the woods just beyond Jean's house isn't the answer! And as much as I'd love to have one of these, a deux chevaux like Christiane's isn't right either. I've toyed with the idea of a cute little red Vespa, but realistically...that doesn't work in the rain or when I have a lot of groceries to haul. Do I need to bite the bullet and buy a little car? Patrick would help me find a used Peugot, I think. Is that the way I should go? What do you think? Do get a car. If there's a Super U supermarket (a chain) near you. They offer very good long term rental prices. They also have a website. You will find that you still use your feet and other resources much more than we do in the States. Thanks for the tip, Jo Anne! I'll check into Super U.